The Capital to Capitol by Canoe team arrived last week in Washington, D.C. after launching Sept. 5 in Ottawa—that’s 1800 km by voyageur canoe over 42 days. The point of their trip: to give visibility to the need to protect and restore the health of waterways, and to connect groups working on water issues in Canada and the U.S. The team, made up of paddlers from Ottawa and others who joined along the way, faced long days, headwinds and a route that took them along the Ottawa River, the St. Lawrence and Richeleau Rivers, Lake Champlain, the Champlain Canal and Hudson River to New York, and on to the Delaware and eventually the Potomac River (see map here). 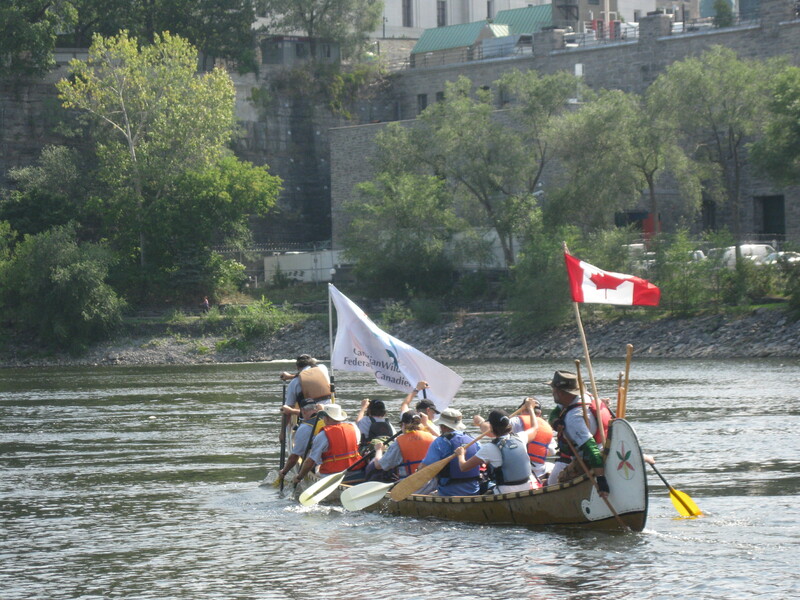 They travelled with logistical, material and moral support from the Canadian Wildlife Federation, Ottawa Riverkeeper, Circle of All Nations members, Waterkeeper Alliance members, Paddle Canada, and many others. Max, Clive and the others are hoping to spread those seeds by establishing a program of sister rivers, and by speaking about their trip. For more information, check out the Capital to Capitol by Canoe website and blog or their Facebook page. Congratulations to everyone involved in this amazing journey!